He specialises in business modeling, open innovation and the mobile telecommunications industry. Formerly, he was senior consultant and team leader at TNO. In 2006-2007, he was the coordinator of the cross issue on business models of the Wireless World Initiative (WWI), that united 5 Integrated Projects in the EU 6th Framework Programme. Currently, he is the international Secretary of the European Network of Living Labs. Pieter Ballon holds a PhD in Communication Sciences and a MA in Modern History. Coordinator of the Business Unit Future Alternatives and Society at the Competence Center Foresight of the Fraunhofer Institute for Systems and Innovation Research ISI. Since joining ISI in 2011 he counts foresight (e.g. scenarios, roadmapping, future-oriented surveys and dialogues) and in particular research and innovation futures (e.g. living lab approaches for Grand Challenges) among his major research activities. Lorenz Erdmann graduated at the Berlin University of Technology (Germany) in Environmental Engineering. Afterwards (1999-2011), he worked as a research associate at the Institute for Futures Studies and Technology Assessment (IZT) in Berlin. In 2010, he had a research stay at the Center for Industrial Ecology of Yale University. Jarmo Eskelinen leads Forum Virium Helsinki, an innovation company building digital bridges between people and services. Originally educated as an architect, Jarmo is an expert in smart cities, open data and user driven design. Jarmo believes that openness of data, APIs, processes and innovation is the key to success in the fragmented urban innovaions landscape. Forum Virium Helsinki is the innovation intrapreneur of the City of Helsinki, managing public – private – people partnerships. The international partner network includes cities, corporations and innovative SME’s. Forum Virium Helsinki is the developer of the successful CitySDK toolkit and coordinates 6Aika, open & smart services strategy by the six largest cities of Finland. Jarmo is the President of the European Network of Living Labs (ENoLL). Founded in 2006, ENoLL has grown into a network of 345 members in all continents, promoting international cooperation in co-creative, human-centric RD&I. Jarmo is also the vice-chair of the fast growing international Connected Smart Cities network. Jarmo has previously held positions as the director of Media Centre Lume in the University of Art & Design Helsinki, the program director of the Helsinki 2000 European Capital of Culture, and the CEO of a successful music, media and event production company PopZoo Promotions, which he founded in 1993, after a career in architecture in the 80’ s and early 90’s. Mevlut Uysal born in 1966 completed his higher education from Law Faculty of Istanbul University in 1988. 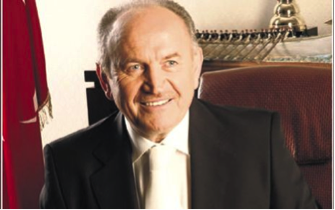 Since university years Mevlut Uysal was closely interested in society and country matters and actively participated in political and social works. After completing university he commenced his career as a Legal Practitionar while also being engaged in active politics. During this period he moved up from District Representative to County/City Commissioner of AK Party (The Justice and Development Party) and gained significant political experience. He has been involved in forming and being part of managing a number of NGO’s related to his profession as well as related to other Social topics. 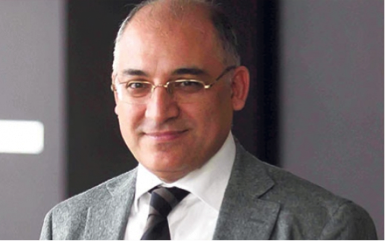 Mevlut Uysal was elected Mayor to Basaksehir Municipality in the Municipality Elections held in 2009 and in 2014. Since being in office he has initiated and completed a significant number of public projects for its citizens. 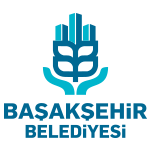 Mevlüt Uysal has lead the foundation of Başakşehir Living-Lab and has been a great supporter since 2012. Kadir Topbaş was born in 1945 at Artvin, one of the most east cities of Turkey. He completed his school education in İstanbul. He is a graduate of Marmara University Faculty of Theology and Mimar Sinan University Faculty of Architecture. He also has a PhD in History of Art and Archeology from İstanbul University. After being elected as Beyoglu Mayor, one of the most popular municipalities of Istanbul, in 1999 he won the elections for Istanbul Greater Municipality Mayor in 2004, 2009 and 2014. He is President of Turkey Municipalities Association, President of United Nations Advise Committee for Local Administrations (UNACLA), 2015 United Nations “After 2015 Development Agenda High Level Panel Member, and 2nd term President of United Cities and Local Governments (UCLG) Kadir Topbaş is married and has 3 children. He was born in Gaziantep, 1961. He graduated from Yildiz Technical University the Faculty of Architecture in 1984. He took business and English language training in Marmara University and England. -Turkish Exporters Assembly (TIM) / Chairman; Turk EXIMBANK / Member of the Board; Turkish Airlines Inc / Member of the Board; Istanbul Chamber of Industry / Member of Assembly; Foreign Economic Relations/ Vice President; Istanbul Development Agency / Member of the Board; Istanbul Leather and Leather Products Exporters’ Association (IDMIB) / Member of the Board; B20 Turkey Executive Committee Member; Ziylan Group / Member of the Board. – Turkish Leather Foundation (TURDEV) / Member of the Board; Turkish Exporters Assembly (TIM) / Deputy Chairman (5 years); Istanbul Chamber of Industry / Member of the Board (8 years); TOBB – BIS Organized Industrial and Technology Zones / Member of the Board; International Commerce Center / Member of the Board; Turkish DO&CO /Member of the Board; Energy Efficiency Association / Member of the Board; Footwear Industrialists Association of Turkey / Chairman; Istanbul Leather and Leather Products Exporters’ Association / Chairman; Chairman of the Turkish Footwear Industry Research in the years between1997-2008. Mr. Büyükekşi, who Board Member of Turk Eximbank since October 24, 2002, is married and has three children, and speaks English. Panel: Living Labs, what path for the Future? LifeCo company was formed in 2005 and is providing services in Well-being therapies and natural healing at its centers in Istanbul, Bodrum and Antalya, while SAF was formed in 2006 as a catering services providing healthy and nutrional food to public and chain stores produced in its kitchens in Istanbul and London Especially “The LifeCo” company has international reputation with more than 60% of its customers from various parts of the world with a majority from Europe. Ersin Pamuksüzer started his career in Ericsson Telecommunications company in Sweden in 1981 and was the General Manager of Ericsson Turkey for long years. He ended his Ericssson career in 2006 and moved into the well-being sector. During the Ericsson Turkey period He initiated the formation of Turkey’s leader GSM Operator Turkcell in 1993 as well as a number of other Telecom companies in the region, and has been a Board Member of Turkcell and Turkcell’s International operations until 2006. During this period Turkcell has also become one of the worlds most innovative companies and the largest GSM operator of the region. Ersin Pamuksüzer has a B.Sc. in Electronic Engineering from Linkoping University, Sweden and MBA degree from Upsalla University, Sweden. Ilari Lindy works as Senior Operations Officer at the World Bank Group Global Practice Transport & ICT. He has extensive background in ICT, innovation & development related positions in Finnish government, European institutions and the World Bank. He has served as advisor for several international and local initiatives focusing on development of policies, instruments and take-up of ICT enabled innovations. He is currently leading projects developing knowledge and learning related to ICT and open innovation at the WBG and its client countries. Nuria de Lama Sanchez studied Telecommunications Engineering at the Polytechnic University of Madrid. She has been working more than 15 years in Research & Development in IT in different environments. After several years managing the department of International projects in an SME specialized in wireless and mobile technologies she joined Atos in 2005, where she first led a Research Unit on Rural and Industrial development. In 2006 she was appointed Head of the Research unit on Semantics, Software and Service Engineering and since 2010 she is Representative of Atos Research and Innovation to the European Commission. In that position she is responsible for the coordination of European research activities, definition and implementation of the R&D strategy as well as contribution to business development and coordination of Atos activities in the so call PPPs (Public-Private Partnership) initiatives, mainly in Future Internet and Big Data Value. She has wide experience in EU programmes, having acted as evaluator, reviewer and speaker in many conferences for the EC. In 2006 she became chair of the Service Engineering WG at the INES platform and contributed actively to working groups in NESSI and other European Technology Platforms and initiatives (ENoLL, OISPG, Net!Works and the CELTIC PLUS programme, to name a few). She is currently active member of the FI-WARE project and the Future Internet PPP Steering Board. Alberto Martín Torras is the Head of Asia Pacific and Middle East at Smart City Expo World Congress (Fira Barcelona). His previous experience includes serving as a Trade Advisor for the Spanish Economic & Commercial Office in Mumbai as well as holding various consulting roles in Spain, Germany and Latin America. He has participated as a speaker in several international events about smart cities. A graduate from ESADE Business School with a B.S. in Management, Alberto holds the CEMS Master in International Management from Università Commerciale Luigi Bocconi and a postgraduate degree from the Columbia University School of Journalism and speaks six languages.